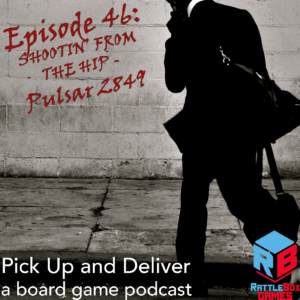 Brendan returns to the “Shootin’ from the Hip'” format to discuss a new game he played, Pulsar 2849. It’s a thinky brain-burner! Tune in to learn more about the game. Have comments or thoughts on this discussion? Join us over on Boardgamegeek in our guild, #3269.